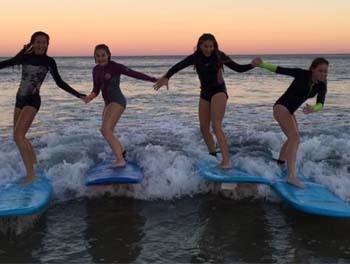 With our Surfing Hen Party Package you get to experience the rush of the Surf in Strandhill which is Ireland’s capital of Surfing right here in Sligo where you will experience a feel the freedom and adrenaline of catching that very first wave. Strandhill is a vast beach break capable of holding huge waves in the right conditions. Surfing is usually best when the tide is on the push in from mid to high tide. At low tide only a big swell will provide a decent wave.